This February 11th marks the 165th birthday [1847-1931] of the world’s greatest inventor, Thomas Edison, the Man of the Millennium as Life magazine once proclaimed him. In July 2010, TIME magazine [see photo at bottom] devoted its cover to the great inventor, with feature articles inside extolling his relevance today. 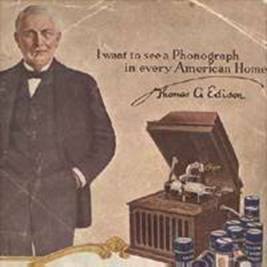 This year is also the 135th anniversary of the phonograph, what Edison termed his most favorite invention. His name is synonymous with creativity, invention and entrepreneurship. Engineering organizations hold annual national Engineering Week celebrations around his birthday. 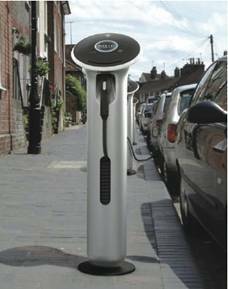 Invention societies often induct new members this time of year. The highly popular STEM programs in schools today draw heavily on his inter-disciplinary, multi-dimensional way of solving R&D problems and new product development…the very basis of Edison’s invention factory, later to become our national, academic and corporate R&D labs. His tear drop-shaped light bulb is a universal icon of the bright new idea, something no compact florescent bulb will ever replace. Edison died in 1931, but his incredible legacy lives on to continue benefiting mankind. The annual economic value to the nation, from his major industrial innovations of R&D labs, electric light and power, recorded sound and motion pictures, has been estimated at approximately $1.5 trillion… 10% of our current gross domestic product. 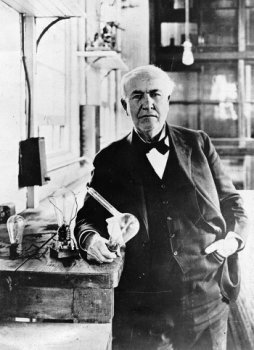 Two of his accidental laboratory “scientific discoveries”, while not made into memorable Edison inventions, were duly recorded in his lab notebooks, later to become the basis for radio-telegraphy (wireless), vacuum tubes, and radio. His visionary work on electric vehicles back in the early 1900s astutely anticipated where gasoline-powered cars would take us….over-dependence on oil, and polluted cities. In his later years, Edison’s recognition of the potential of solar and wind energy is found today on every solar/wind equipment supplier’s website. What remains so inspirational in the minds of inventors the world over is Edison’s indomitable spirit and acceptance of failure as a necessary way of life, an opportunity to learn and profit from … a kind of “fail your way to success” credo that suffuses the late night hours of all inventors … when the chips seem down and success appears to be a long way off—that never give up spirit that has come to characterize what we used to call “Yankee ingenuity”. That is what Thomas Edison represents, the rugged individual, a fierce self-determination and drive we all harbor deep within, the American spirit, that Horatio Alger story writ large, visceral, palpable. One can only guess how many of our nation’s almost 8 million patents are a direct testimony to Edison’s inspirational impact on the patent holders. It’s there, and every year as students come to see his legendary West Orange Labs, you can spot that twinkle in their young eyes, that … “I am going to be just like him” … look. Tom is alive and well, and we are all better for it. This entry was posted in All About Tom and tagged american inventors, american scientists, Edison Only Links, february 11, Happy Birthday Thomas Edison!, Inventor, thomas A. Edison, thomas edison, thomas edison birthday on February 8, 2012 by Edison Innovation Foundation. 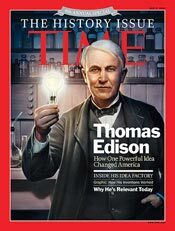 Edison, is the savior.. Where would we be without Edison? Maybe we wouldn’t be in the dark, but would we be where we are now?